While not exclusively Christian, Behavioral Health offers a Christian rehab track. Behavioral Health of the Palm Beaches is one of the nation's leading acute/extended care treatment program for Christian alcohol rehab and Christian drug rehab. Our Christian Addiction Recovery program is led by Christ centered therapists who are trained in addiction, spiritual and Biblical recovery. They provide inspirational Biblical counseling within the framework of our Christian Alcohol & Drug Rehab treatment program. This powerful combination has given many former addiction sufferers the strength they need to achieve a successful recovery from their former addictions. Our Christian Addiction program focuses on each individual's mind, body and spiritual needs in both individual and group Christian counseling therapy. We also provide Sunday worship and weekly Bible study during your treatment with us. Our Christian Addiction program focuses on spiritual power as it relates to the recovery process. The group explores the different aspects of God’s grace which is available through a relationship with Jesus Christ. Group discussions focus on real spiritual power as it is revealed in God’s word. This is a highly interactive group process where each individual is given the opportunity to experience God’s grace applied to their own personal stage of recovery. Clients stay in an apartment-style complex within the Behavioral Health complex. The facility is supervised 24 hours a day by a full-time staff. Clients’ activities include wake-up, meals, attendance at groups, lectures and meetings. Completion of chores, curfew hours and return from off-site trips are monitored on a 24-hour basis. The shared community experience is an important part of treatment and is how patients learn the basics of living a responsible lifestyle. 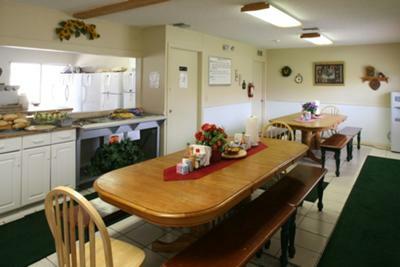 Residents receive a food allowance, and under supervision, select and prepare their own meals. They are also involved with planning some of their recreational activities as a group. Please visit our web site or call us at (888) 432-2467 for more information.